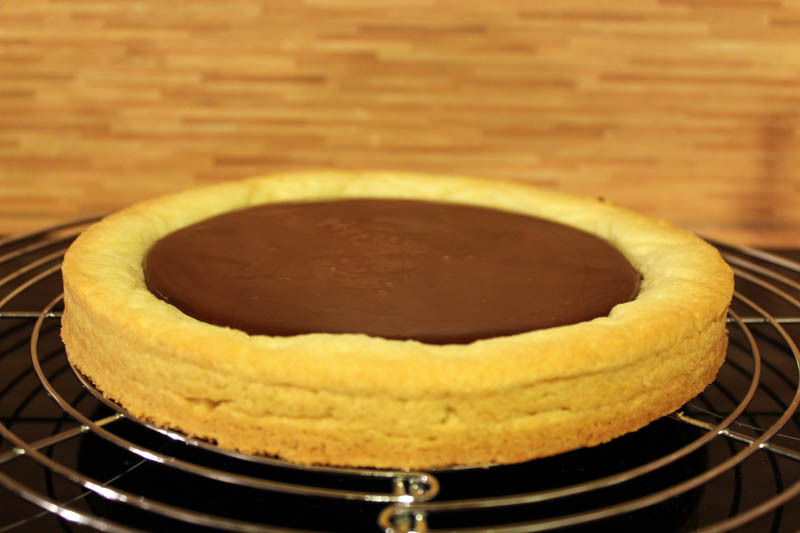 I was planning to bring a cake to a party a couple of weeks ago, but time was tight so I decided to go for the easy and quick: a chocolate tart. 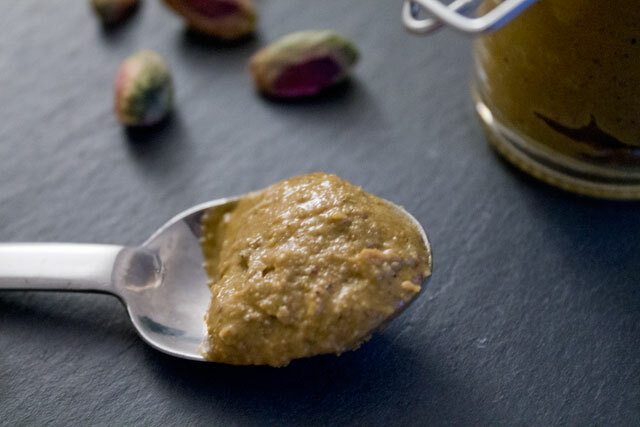 It was filled with a simple chocolate ganache, but the tart dough was the best part: I tried a new recipe of a sweet tart dough (pâte sucrée) with some ground almonds and orange zest. 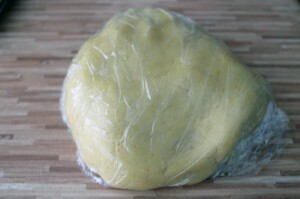 It resembled a biscuit dough, it was very crunchy and it had a nice flavour of butter with an orange aftertaste. 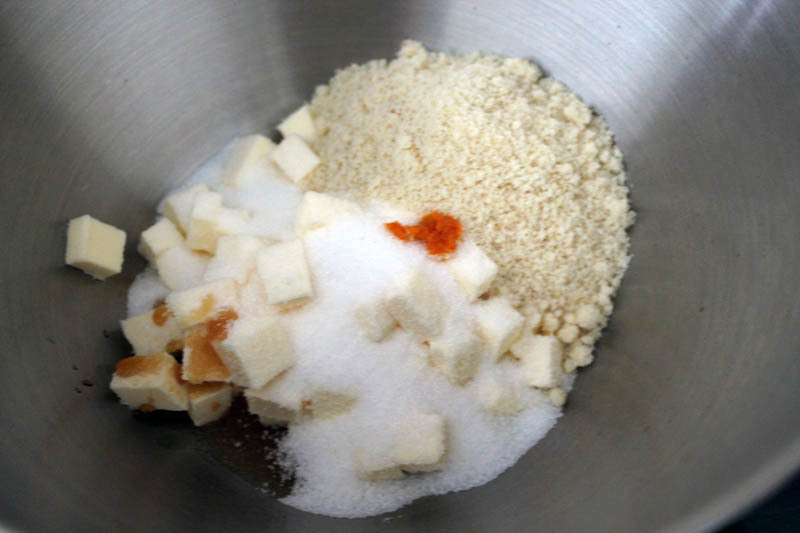 Mix the ingredients without creaming. If you have a mixer, use the paddle attachment at low speed. 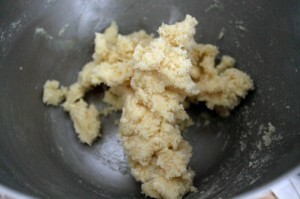 Add the sifted flour and baking powder and mix until they are incorporated. 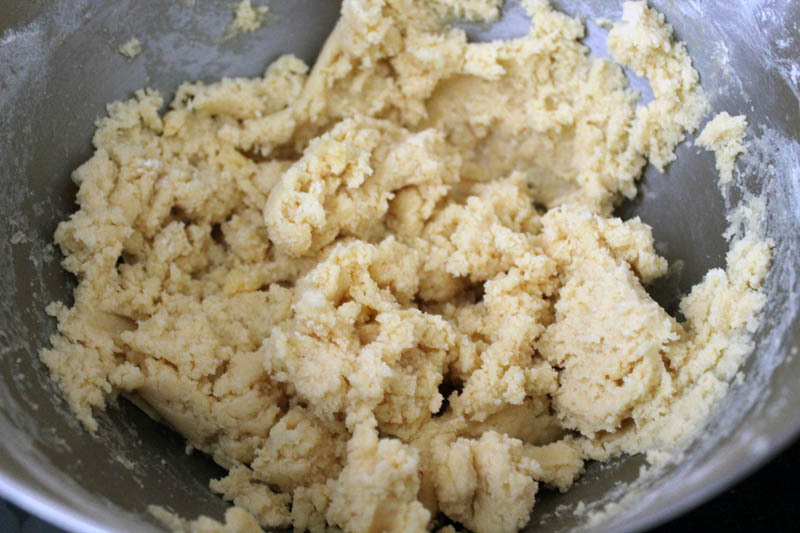 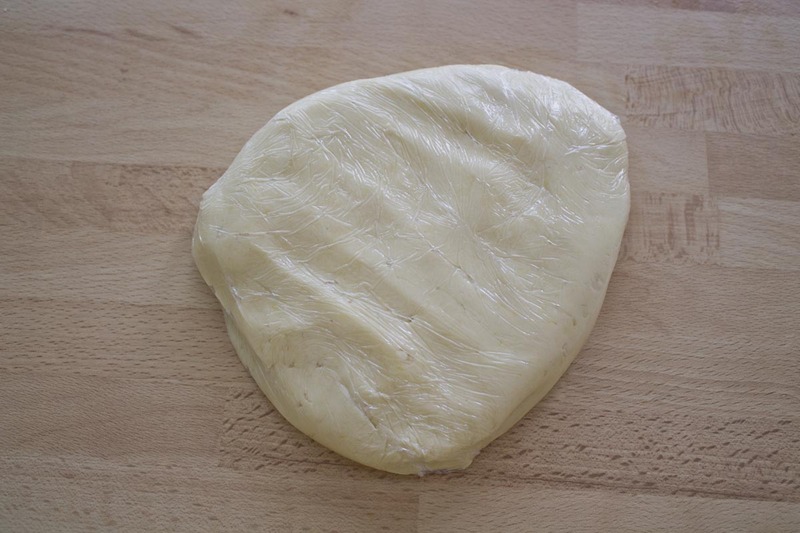 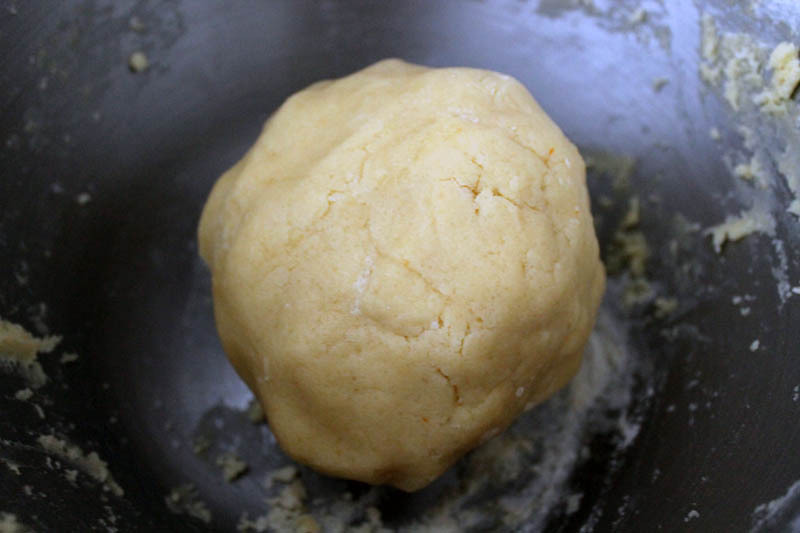 Form a ball without overmixing or overworking the dough. Form again a ball with the scrapes and roll them out again to a 5mm height. Cut a round like in the previous steps. 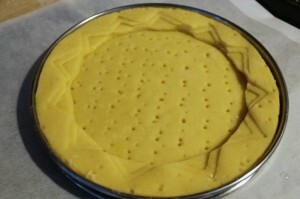 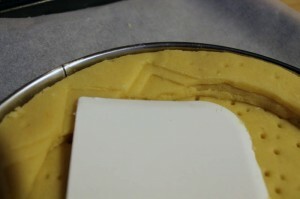 In the middle of it, cut another round leaving a border of about 2-3cm (I used a saucepan lid for the smaller shape). 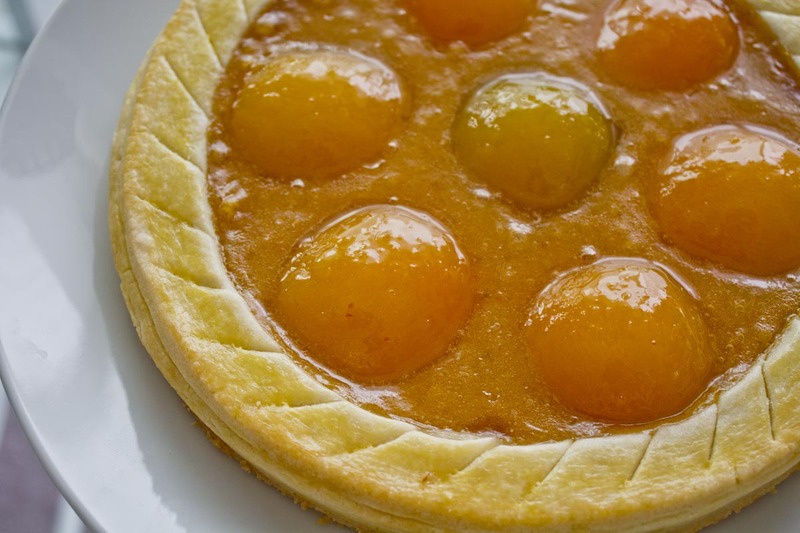 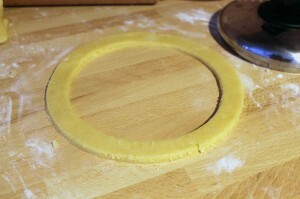 Repeat step 8 and 9, so that you have a tart bottom with two rings on top. 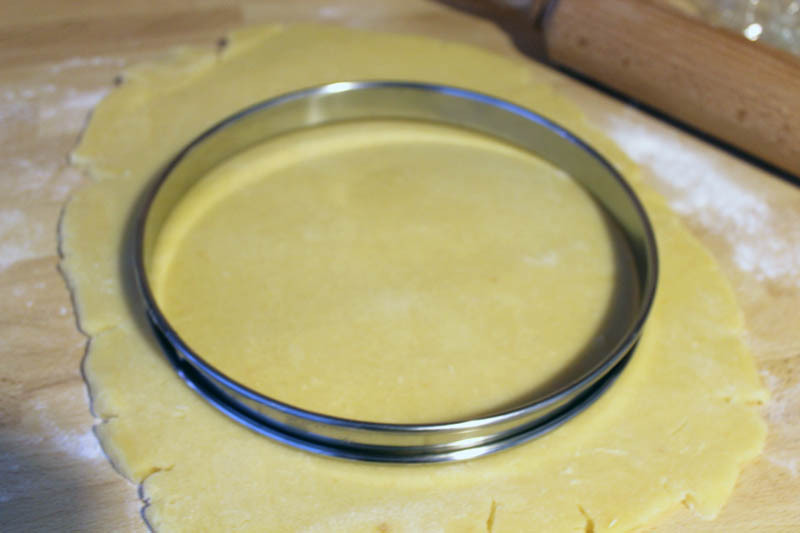 The height of the dough should be the same as the tart ring. 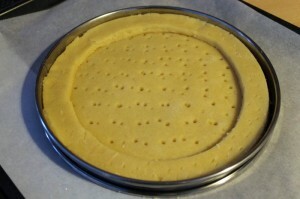 The tart is ready to be baked. 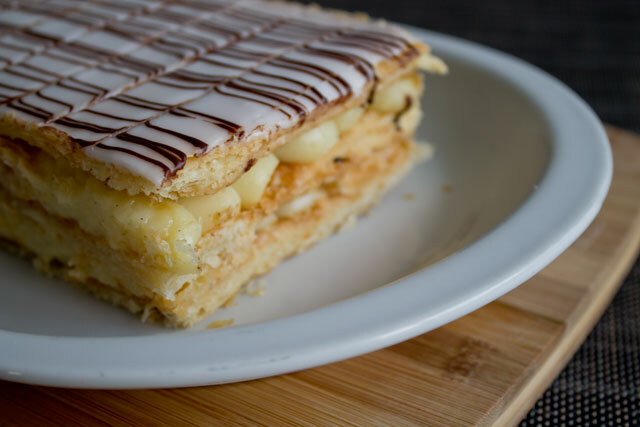 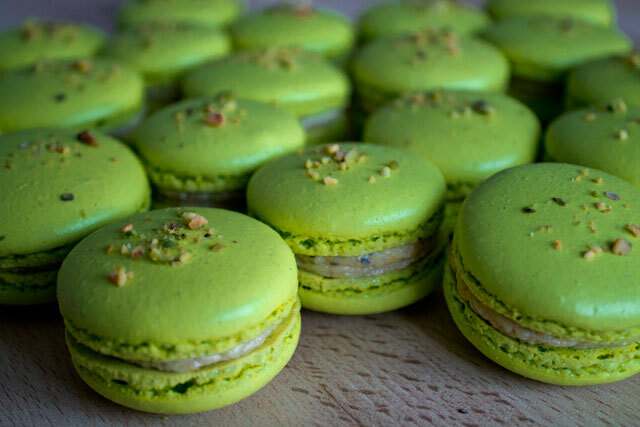 It is advisable to leave it about half an hour in the fridge before baking. 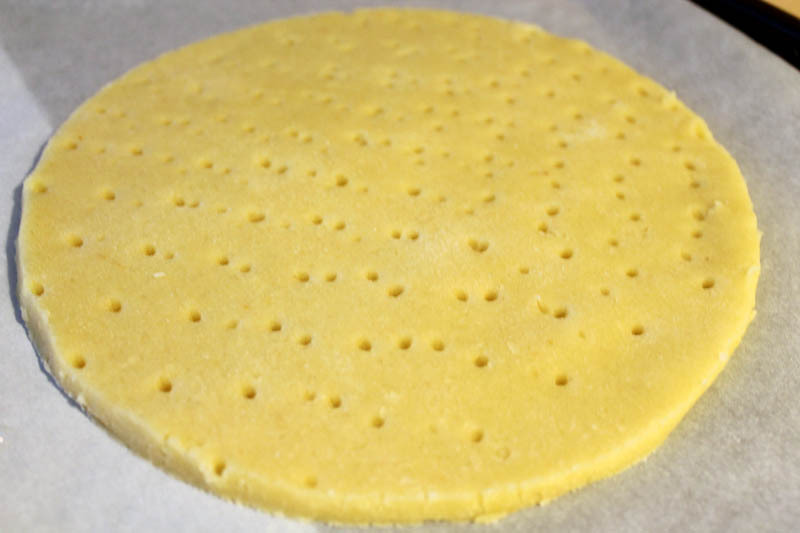 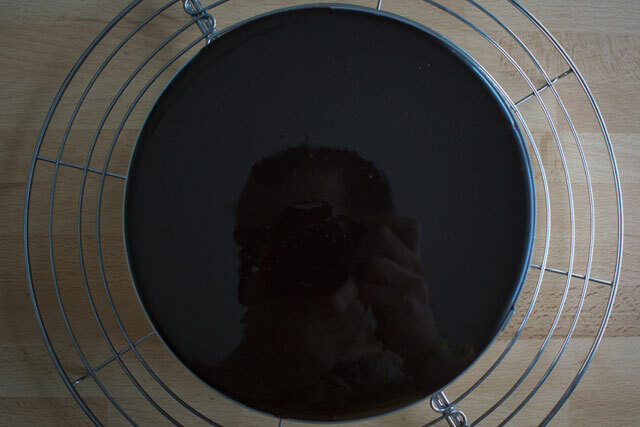 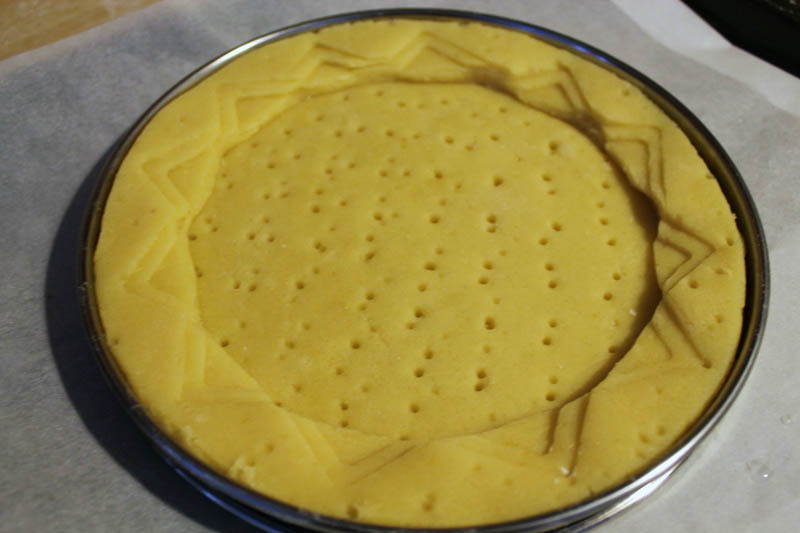 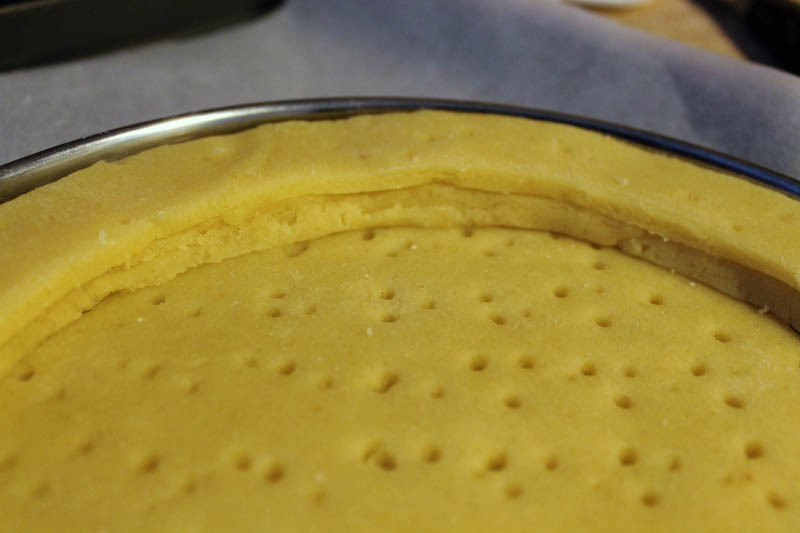 Blind bake at 180° for 25 minutes by putting some weight on parchment paper on the tart shell (e.g. dry beans). 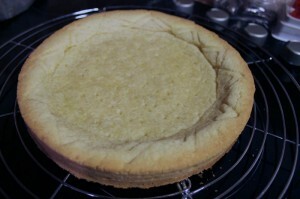 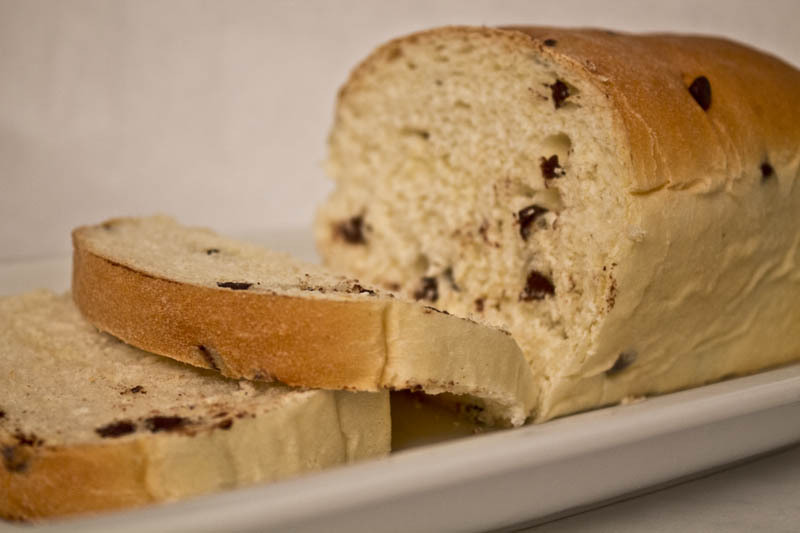 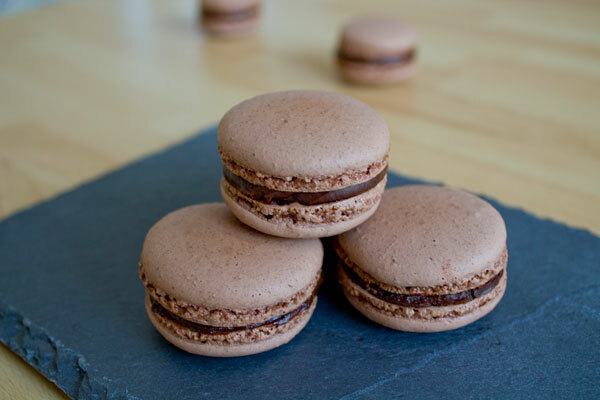 The sugar and almond flour help to prevent too much gluten from forming, so to ensure the dough is flaky.